Mr. Cantrell started training Wing Chun in 1999 and for 2 years collected all the information that he could on the art, amassing somewhere between 300-400 books and videos on the subject (this was pretty much everything ever made up to that point - the collection later grew to well over 1000 unique titles). The Wing Chun Archive (WCA) was founded in September of 2001 as a personal listing of these books and videos for other collectors to compare by. Due to the high number of emails from collectors looking for the rare items mentioned, he started the Wing Chun Archive store to help collectors grow their collection. This allowed for the expansion of the site to include the now famous listing of sifus and schools. Over the next few years he kept adding more and more products to the selection until in May of 2005 Everything Wing Chun (EWC) was created to take the place of the store on the WCA site. When it opened it was already the largest Wing Chun store in the world, with over 250 unique products and growing. The goal was to have a web store focused only on Wing Chun and offering as many quality products as possible related to the art. It was a Wing Chun first. Over the next 10 years EWC was constantly trying to make this store better for our customers and trying gather all the good Wing Chun (Ving Tsun, Wing Tsun, etc) products that we can under one roof for you (recently the Everything Wing Chun site currently listed over 1800 separate Wing Chun products from 70 different teachers/authors). While we are not technically a non-profit organization, the proceeds from sales on this site are used to promote and develop Wing Chun. Our latest sites (eWingChun.com and WingChunUniversity.com) bring you an incredible resource site as well as a truly great videos to learn the entire Wing Chun system online. "I sincerely hope you enjoy all our sites and come back often. We will always do our best to serve you and we are always open to suggestions. Please email me () if you need anything." Our support operates on Pacific Time (UCT -8). Our warehouse on Eastern Time (UCT -5). We do follow Daylight Savings/Summer Time, so this changes by 1 hour if you do not. Majority of support is handled 8am-2pm PT. (11am-5pm ET). (3pm-10pm GMT), but is not limited to those times. From APR 13 to APR 28, 2019 we have limited Sales/Support availability and responses will take a lot longer than normal. Click to Learn more. Email is the absolute best way to contact us. You can email us at . Your email will usually be answered within a few hours during business days/times, but officially we will respond within 1-2 business days. If you do not hear from us soon please feel free to contact us again - sometimes emails get lost between your servers and ours. Digital Download Support (for existing customers). Your Digital Download Library and Applications (for existing customers). Please note that Platform Purple only supports the download application and videos on our digital store (not this one), they do not have anything to do with this normal Everything Wing Chun site. Likewise, we only support issues with the physcial products, not the downloads. We would love to take your money order for a purchase - that is no problem. Email us for the address to mail the money order too. All money orders must be pre-approved so we can hold the products for you. DO NOT send a check or money order without contacting us first. DO NOT send money orders or checks to our shipping warehouse in Ohio. Contact us before sending in any returns/exchanges. Our Return and Exchange Policies. DO NOT send any money order or correspondence to this address. As a small company our customer service has always been complimented as superb, and we'd like to keep it that way. Also, we are almost always on the road or overseas - therefore, we prefer you email us directly for any questions. It is usually the quickest way to get a reply. If we are on the road, we'll usually let you know on this page. All of the shipping is done from the USA, so rest assured you will get your order quickly and safely! Phone support is currently by call-back service only. When you call us please leave a message along with the best times to reach you (include your time zone!) and Mr. Cantrell will personally return your call. It is no hassle, so please feel free to have us call you back. We have very few phone calls in general, travel a lot, and do not sit by the phone all day. Plus, Mr. Cantrell likes to answer all your Wing Chun questions personally. So, If you cannot email us, then just call and leave a message here and he will absolutely return your call as soon as he is available. The toll-free US number to leave a message is 844-899-7788 . If you call and do not leave a message (and we just missed you because we were helping someone else), we may just call you back anyway! We do not have a print catalog at this time, sorry. If you happen to see a lower price we'll match that price for you (even if it is on our own site a week later)..
Encrypted, PCI compliant, and scanned daily, your credit card transactions are 100% secure. You Can always contact the owner directly via email. Over 400 unique Wing Chun products (and growing). Order everything here & pay less shipping! 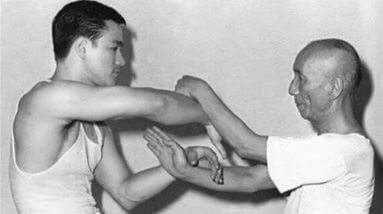 Every penny you spend on the site is used to help promote the art of Wing Chun. We love this martial art. As individuals, we like our privacy and value yours as well. We will NEVER sell or rent your personal information.